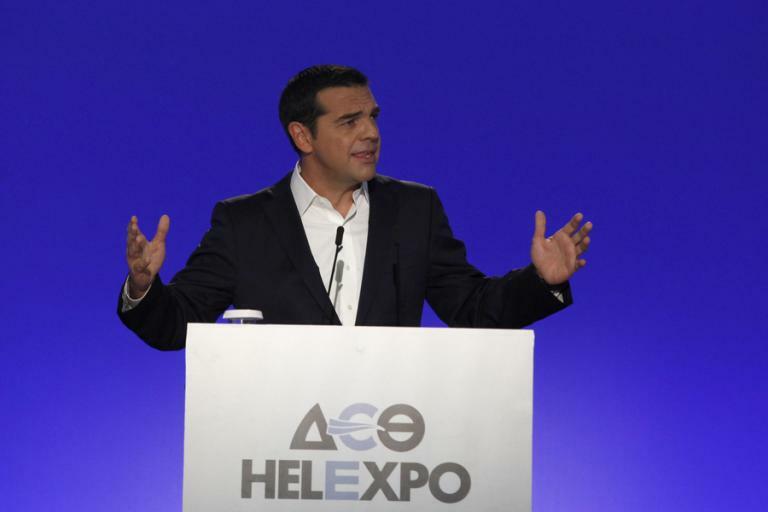 The vast majority of Greek people do not trust the announcements and declarations of Prime Minister Alexis Tsipras in the opening of the Thessaloniki International Fair on Saturday, a new poll shows. The opinion poll was conducted by Marc on behalf of Proto Thema Sunday newspaper and website. It shows that 82.1 percent of participants did not believe the pledges Tsipras made during TIF, while only 15.1 percent are certain that the prime minister will fulfill his promises. Regarding Syriza voters in the last election, 65.6 percent of respondents do not believe that Tsipras can put in practice the things he declared in Thessaloniki. Only 30.1 percent of Syriza voters believe that the government can come through. Regarding Tsipras’ rhetoric on foreign investments and private initiative, and his recent visits to successful private companies, one in two respondents (49.3 percent) believe that this is just political strategy, not rooted in real policies or political will. In that respect, only 18.6 percent of participants are of the opinion that the Greek economy is on the path to recovery. Instead, 36.3 percent believe the economy will remain the same, while 43.5 percent are certain that it will get worse. The particular findings are consistent with the answers regarding Greeks’ ability to pay their taxes. Specifically, 42.4 percent answered that they cannot meet their tax obligations, while 54.9 percent said they can. Syriza voters in their majority (61.3 percent) replied that they can pay their due taxes. Finally, on the changes the education ministry is planning for university entry exams, 58.3 percent oppose the changes, while 22.2 percent (34.9 percent of Syriza voters) have a positive view of the reforms proposed.